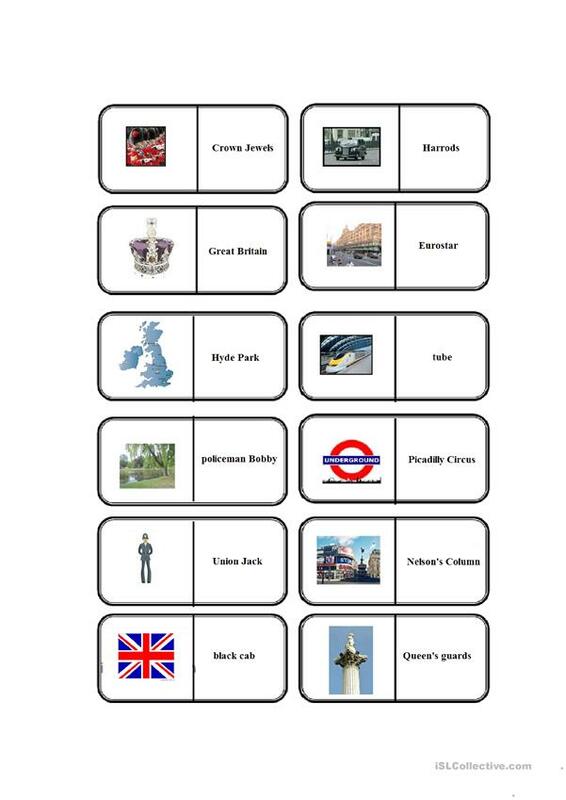 I have created this worksheet as addition to the London domino game from the author Teufel. There are more places and famous sights to recognize and some more facts about London like Hyde Park, Nelsons Column, Eurostar, tube etc. This downloadable handout is intended for elementary school students and kindergartners and nursery school students at Beginner (pre-A1) and Elementary (A1) level. It is useful for improving your groups' Reading skills. It focuses on the theme of London. ConstanzeC is from/lives in Germany and has been a member of iSLCollective since 2015-01-20 14:47:15. ConstanzeC last logged in on 2016-03-23 06:57:04, and has shared 23 resources on iSLCollective so far.